Lac-Mégantic Mayor Julie Morin wants the streaming service to take a look at its movie and TV catalogue to make sure no other production is using images of the tragedy as entertainment. "I don't know if this is happening all the time, but we are looking for assurances from Netflix that… they are going to remove them," Morin said. "You can be sure we are going to follow up on this, and our citizens are on our side." High school ethics teacher Guillaume Bouchard was watching the most recent season of Travelers on Netflix over the holidays when he noticed something oddly familiar on his screen. In the science-fiction series, a nuclear device had just exploded on the streets of London, but instead of seeing fires ravaging locations in the U.K. capital, Bouchard was looking at orange flames towering over a small town. At the end of the street, a black oil tanker burned in the background. "I thought: No way. No way did they do that," Bouchard said. He paused the show and after a quick internet search had his suspicions confirmed. The brief images on Netflix were taken from real-life footage of one of the deadliest disasters in recent Canadian history, when a train carrying crude oil derailed, exploded and killed 47 people in Lac-Mégantic in 2013. "I don't know anyone who died in Lac-Mégantic," Bouchard said. "But if I was someone who lost someone close and I was home and I saw this, I don't know how I would react. It wouldn't be good." Travelers, created by Canadian Brad Wright, was shot in Vancouver and produced by Peacock Alley Entertainment Inc., originally in association with Netflix and Showcase. Netflix picked up the show as the exclusive distributor for the latest season, the third. Carrie Mudd, president of Toronto-based Peacock Alley Entertainment, said her company acquired the footage from a stock image vendor called Pond 5, which is based in New York City, and they "weren't aware of its specific source." A request for comment from Pond 5 was not returned. "We sincerely apologize and had no intention to dishonour the tragic events of 2013," Mudd said in an email. "We are already working to replace the footage in the show." As of Tuesday evening, the images were still part of the Travelers episode available for viewing on Netflix Canada. A spokesman for Netflix did not want to be interviewed, but said the company has contacted Peacock Alley Entertainment, and confirmed the images would be removed. 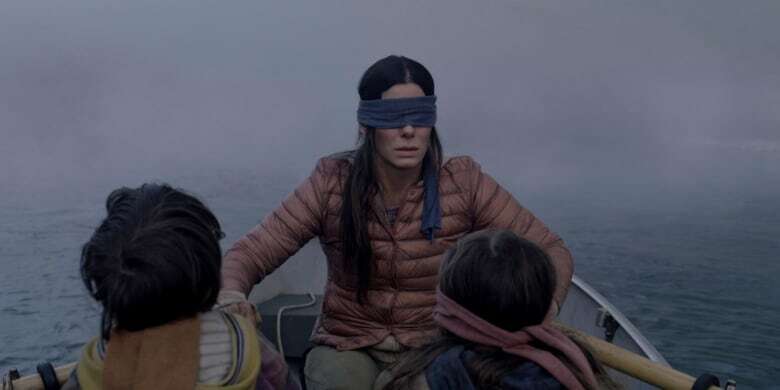 When asked by email to confirm Bird Box also used real-life footage from the disaster, the company said it needed time to look into it. Morin said she first heard of the images used on Travelers Monday. "We find that it's really a lack of respect, to use these images as fiction and entertainment," she said. "It's hard enough for our citizens to see these images when they are used normally and respectfully on the news. Just imagine, to have them used as fiction, as if they were invented." On Tuesday, a Lac-Mégantic citizen posted images on social media of the movie Bird Box, where in the early moments of the movie, a television newscast used the images for a few seconds to illustrate a town being under attack. Morin said she viewed the footage posted by the citizen. "We see the images (of Lac-Mégantic) clearly," she said. 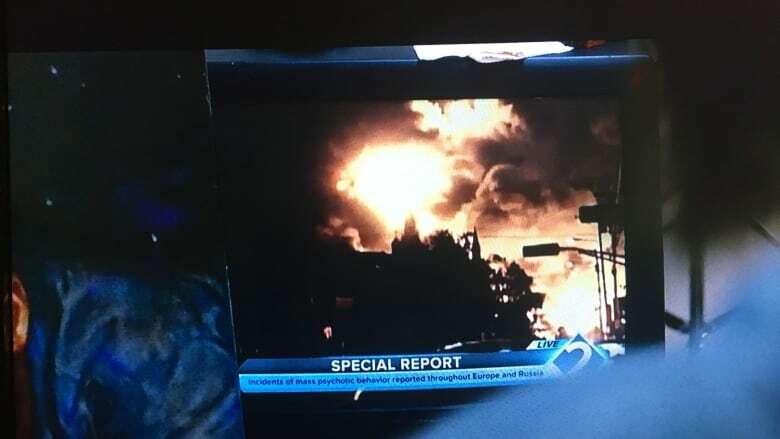 The Canadian Press viewed the footage in Bird Box, which is identical to amateur video shot immediately after the derailment. The amateur video can be easily found online. Bouchard said he felt it was his "duty as a citizen" to go public after identifying the Lac-Mégantic content. He said he knows what happened was a mistake, but "it needed to be talked about." He said he also considers it a teachable moment he can use in his ethics class. "Naturally, I will talk about it one day (in school)," he said.